Well summer has come to an abrupt end this week. There is no reason to stop visiting the Peak District and Derbyshire though. Here are some ideas on things to do during the autumn months. Derbyshire is well known for its caves, all of which open throughout the autumn. Try out Poole’s Cavern in Buxton or Speedwell Cavern or Treak Cliff Cavern in the Castleton area. Autumn is a great time to go outside and kick up some autumn leaves. 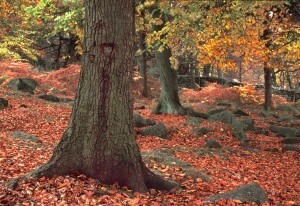 The autumn colours at Padley Gorge should be stunning. Both Chatsworth and Haddon Hall are open until Christmas (although open days are limited at Haddon Hall – please check their web site). Chatsworth has a “The Lion, the Witch and the Wardrobe” theme for their Christmas decorations this year (from 9th November). Haddon Hall will also be decorated for Christmas in December. 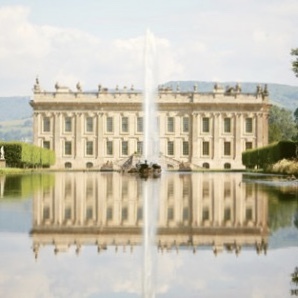 There is also an exhibition of contemporary sculpture in the gardens at Chatsworth until the 27th October. Another autumn highlight locally is the Matlock Bath Illuminations every weekend through September and October – think Blackpool illuminations on water! There are fireworks on some evenings too. Choose an indoor activity. How about extending your cookery skills and meeting some like-minded people at Tideswell School of Food Only a few miles from our holiday cottages, they have a great program of courses over the autumn. The choice of courses is wide, from an introduction to brewing to making Christmas gifts with chocolate. The cottages are heated by underfloor heating, which runs 24 hours a day, 7 days a week (365 days a year if necessary!). Whether you are coming back from a day out or whether you have chosen not to venture very far at all, the cottages will always be warm and cosy. We’d love to see you this autumn. We have recently visited Renishaw Hall Vineyard, one of the most northerly vineyards in Europe and certainly the most northerly British award-winning vineyard. We were able to walk around the vineyard and also have a taste of the fantastic wines produced by the Estate. Renishaw Hall has been home of the Sitwell family for more than 400 years. The vineyard is one of the more recent additions to the Estate having been planted a mere 40 years ago! For the past couple of years the vineyard has been under the management of Kieron Atkinson. The vineyard was surprising small at just two acres. This small walled vineyard manages to produce approximately 5 tonnes of fruit annually, that can be converted into about 5,000 bottles of wine. Once harvested, the grapes are transported to a winery in Staffordshire where it stays until bottled. It was fascinating to listen to Keiron. He is amazingly knowledgeable and obviously extremely passionate about producing great quality English wine. The challenges of an English summer mean that he is constantly reviewing his decisions for the resulting crop and how it is to be processed at the winery. The cold spring, dry June and warm summer of 2013 should mean that the grape sugars are higher resulting in great potential for a fabulous vintage. Harvesting will not take place for another month or so yet, so fingers crossed for the last few weeks of growing. 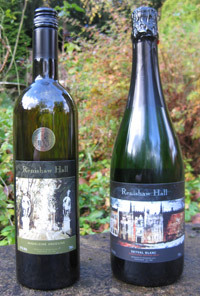 Despite the horrible weather conditions for the past couple of years, the still and sparkling white wines from Renishaw have won national and international awards. Just think what the 2013 vintage might be capable of! 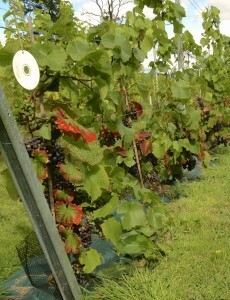 The vineyard is about 30 miles from the holiday cottages. Visit Peak District, the local tourist authority, are putting together a list of the top 10 things to do, see and experience in the Peak District and Derbyshire. They have asked us (and all the other members) for our personal recommendations in order to compile their list. So here’s a sneaky preview at what we have submitted. We’ll let you know if it agrees to the Visit Peak District list when we see it! Take a walk – doesn’t really matter where you start, there is so much gorgeous countryside to take in. We have maps in the cottages and a couple of ideas for walks from the door. Visit a well dressing – associated in particular with Derbyshire and the Peak District, well dressing is believed to have started following the Great Plague. It is believed that clean well water kept residents safe from the water-borne disease. In thanksgiving, village wells are “dressed” or decorated with pictures constructed using natural materials embedded in a clay filled wood frame. Try a proper Bakewell pudding (from Bakewell of course!) and not to be confused with a Bakewell tart. 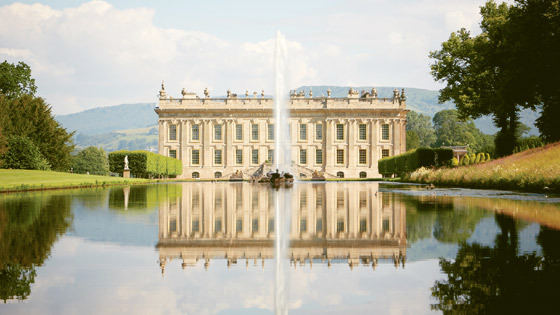 Chatsworth – has it all – historical house, amazing gardens, children’s farmyard and adventure playground and beautiful riverside and woodland walks not to mention restaurants, cafes and a farm shop. Visit a cave – Poole’s Cavern in Buxton or one of several in the Hope Valley give an insight to the geology of the area and some of the ancient trades in Derbyshire. Take to the country lanes for a cycle ride. Use the trails if you want to avoid the hills. Hire an electric bike if you don’t want to do the pedaling! 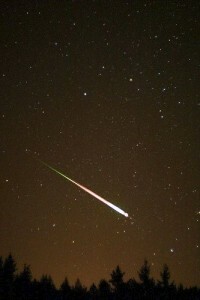 The 11th and 12th August will be best nights this year to watch the Perseid meteor shower. Our holiday cottages are in a great rural location with very little ambient light to spoil the show. The meteors originate from a comet, Swift-Tuttle, which orbits the sun every 133 years. As the earth travels through the trail of the comet pieces of icy dust left by the comet burn up in our atmosphere. Just in case you are wondering, we are unlikely to be on a collision course with the comet for another 2000+ years – phew! The best view will be in the earlier hours before dawn after the moon has set. We can provide garden chairs, a flask and rugs to keep you warm. You just need to look northeast and be patient! The weather at the moment doesn’t look like it is going to co-operate but we live in hope. The best dates for next year will be 12th and 13th August if you want to get your Peak District holiday booked!